Here’s what it looked like at the end of Day Two. Bottom photo is Day One, top photo taken of the same space, Day Two. 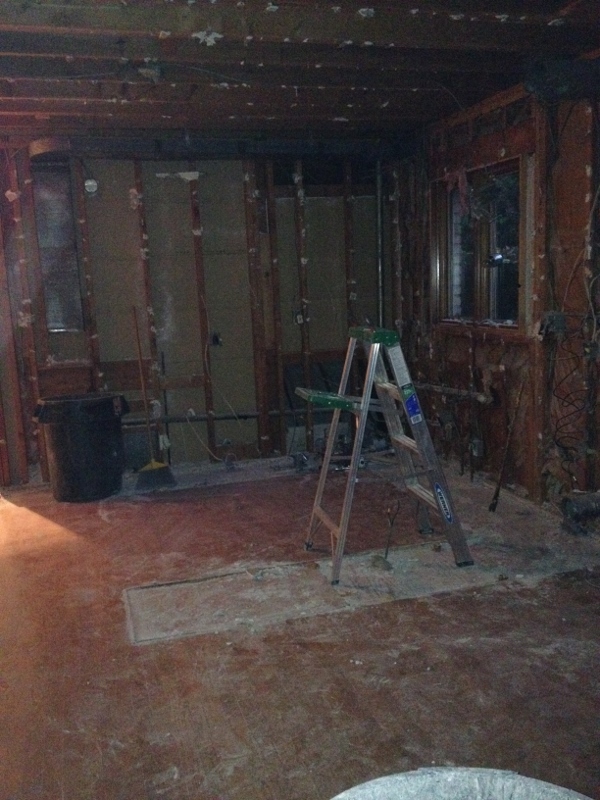 Another view looking into the kitchen from the family room. 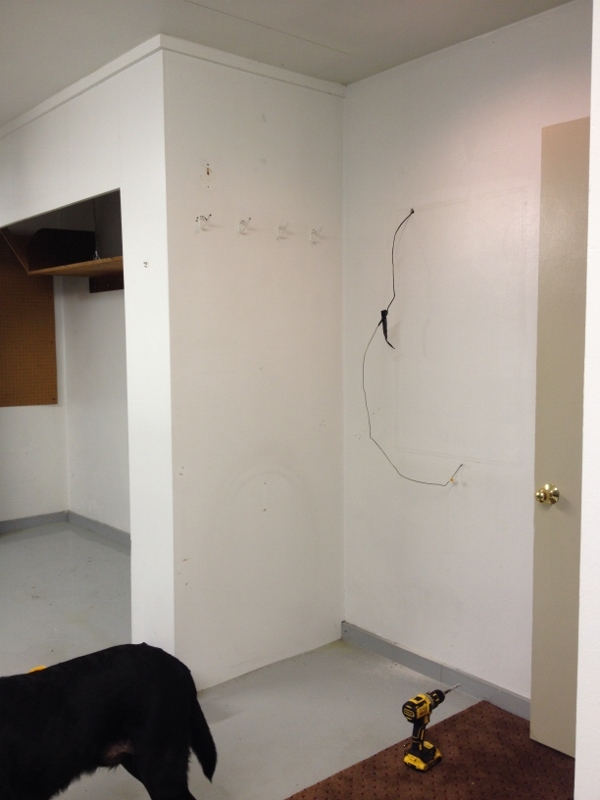 And a “surprise” – a waterline in the middle of the wall we’re taking down. It needs to be moved, obviously, which they say shouldn’t be too difficult. 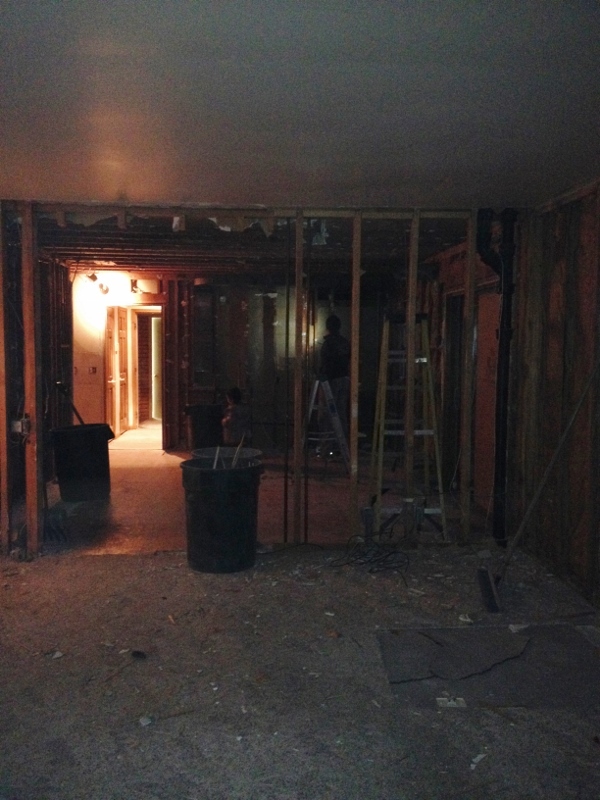 Looking into the family room from the kitchen. Top shot Day Three, bottom shot pre-demolition. Look guys, original wallpaper! Which, okay, our house was built in 1960, but it was still a cool find. It looks very cheery. And very Grosse Pointe. 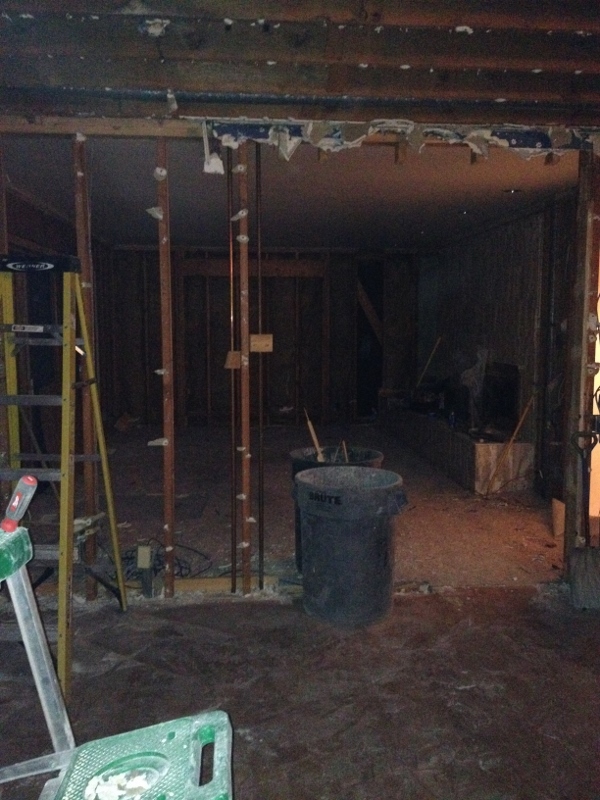 The garage closet is down. 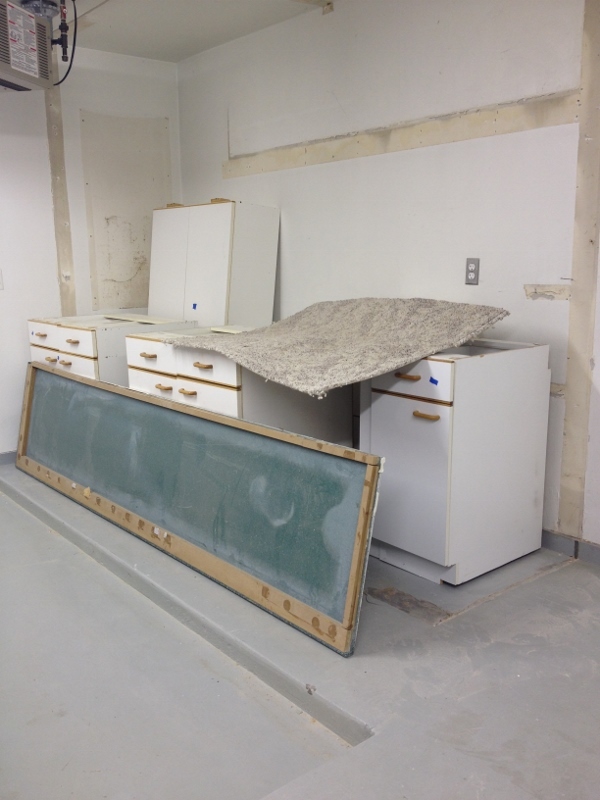 We saved a row of kitchen cabinets to install in its place. Although I think we’re doing the install, not the builders. And by we, of course I mean my husband. My husband’s office is in the basement. 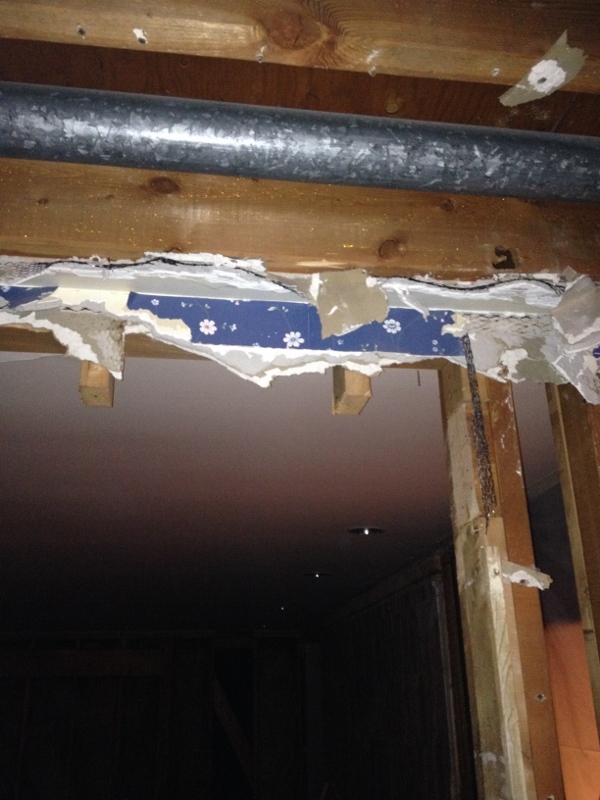 On Day Two, a bunch of plaster came falling down through the laundry chute. Lots of dust flying around and both of our throats were chalky and sore. The dog, not having his usual leather chair to sleep in, slept on our new floral couch (which now has dirt stains and hair all over). I bought paper plates and bowls. And did the Neti-Pot before bed. It’s going to be a long 6 – 8 weeks. 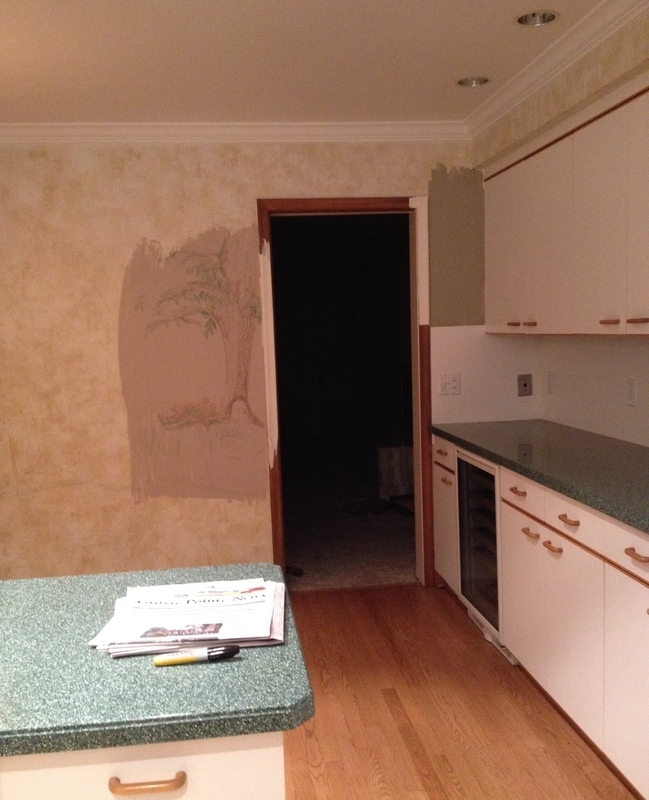 This entry was posted in Kitchen Remodel, Other and tagged Demolition, Home Improvement, Home Remodel, Home Renovation, Kitchen Remodel. Bookmark the permalink. Dear god. Just think how wonderful everything will look when it’s finished. It’s kind of exciting, really. 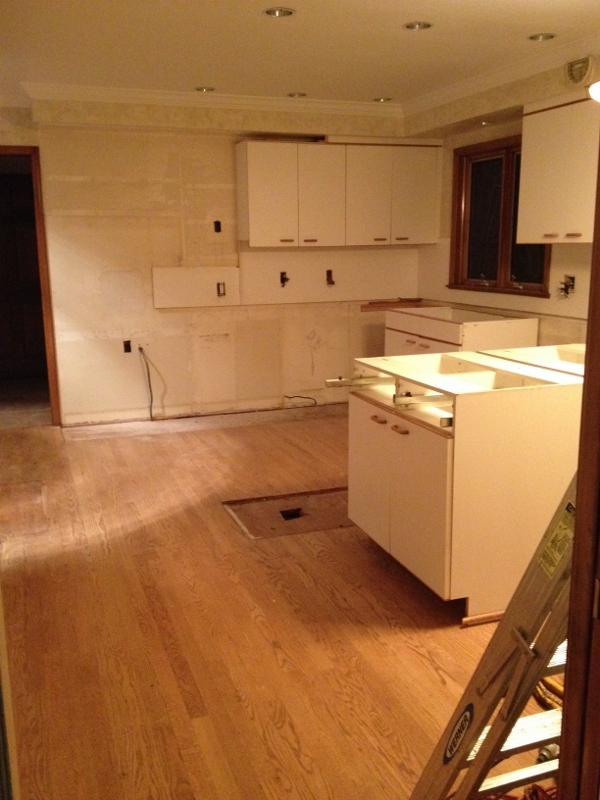 Especially since I’m looking at the pictures from the comfort of not having my kitchen demolished.Take out anyone? And that would normally excite me, but I think you’ve seen my posts about the food here.